KAMPALA – The Minister of Trade, Industry and Cooperatives, Hon. 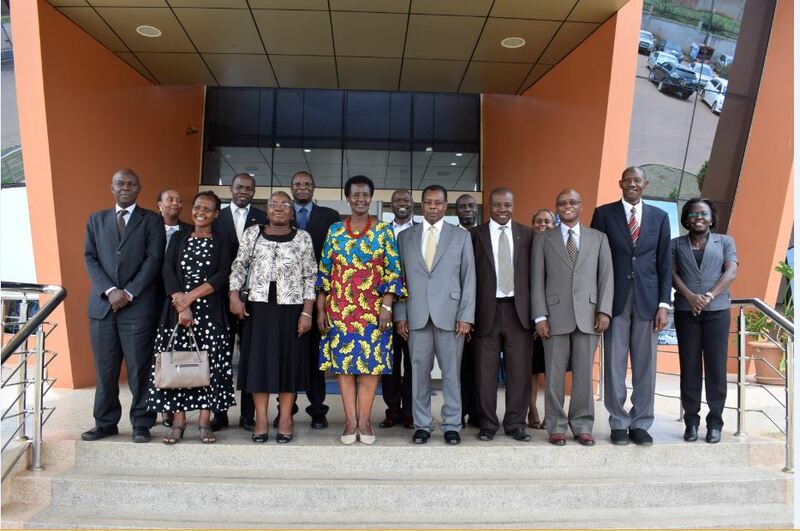 Amelia Kyambadde has appointed 10 members of the 8th National Standards Council (NSC) for a period of three years. 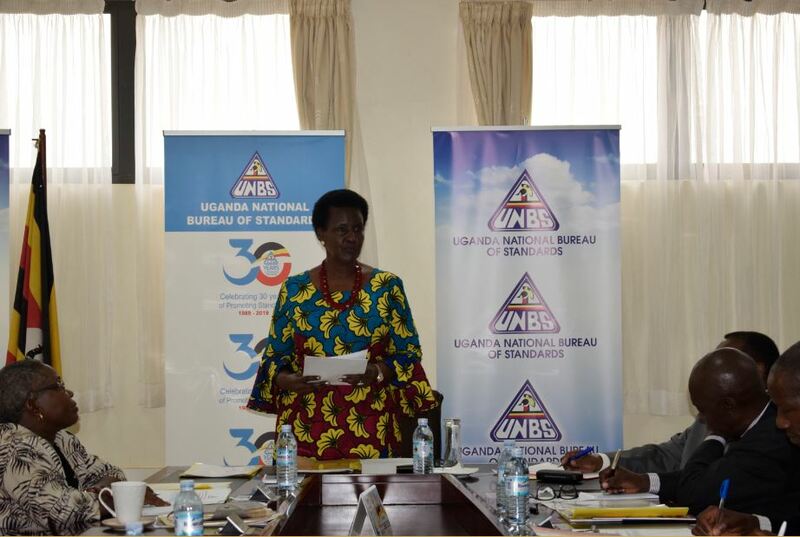 The NSC is the supreme governing body of the Uganda National Bureau of Standards (UNBS) that is responsible for providing oversight and policy guidance to management to ensure effective service delivery. The Council is responsible for approval of draft standards as national standards. The 10 members were sworn in at an inauguration ceremony at UNBS Head Office in Bweyogerere. Speaking at the ceremony over the weekend, Ms. Kyambadde congratulated the Chairperson Eng. Masitula Munyaami Male and members for their re-appointment to serve on UNBS Board for the next three years. “The delay in the appointment of the 8th NSC was due to discussions within government on the restructuring processes of Departments and Agencies but due to the critical nature of the Council in the implementation of UNBS mandate, Cabinet agreed, after consultation with the Attorney General, to reappoint the 8th NSC,” Ms. Kyambadde added. She acknowledged the achievements and challenges of the 7th Council as detailed in their report and encouraged the members to find innovative ways and solutions to resolve them. “I would also wish to see better policies and strategies put in place in supporting various Government programmes and the private sector while delivering UNBS services,” she said. In her inaugural address, the Chairperson of the Council, Eng. Masitula Munyaami Male pledged to work with Government and UNBS management to ensure that the institution delivers on its mandate. Members of the Council include Eng. Masitula Munyaami Male, the Chairperson, Dr. Ben Manyindo, Executive Director, Secretary to the Council, Prof. Jackson Mwakali, Mr. Afidra O. Ronald and Mr. Lule Umar Mawiya.